At VMworld Europe 2014 VMware announced a completely new version of the product we all know as vCOPS. 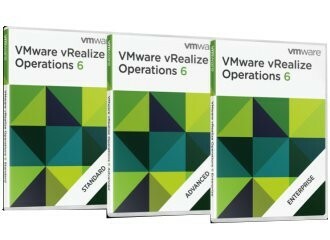 The new version goes by its new name vRealize Operations 6.0. This is not simply a slightly improved minor release it’s a complete rebuild of vCOPS as we know it. It is now based on a scale-out architecture, so you place new vRealize Operations nodes as you grow, instead of the scale-up architecture of the original product. vRealize Operations 6.0 features a completely re-platformed architecture that provides 8X greater scalability, and offers unified management across vSphere and other domains. Predictive analytics, Smart Alerts, and problem detection capabilities identify complex issues and then recommend automated tasks that streamline remediation before problems impact users. 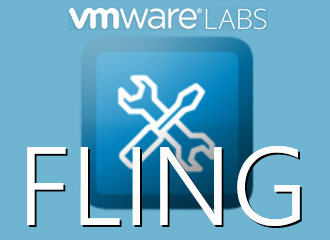 Another new feature is the availability of vRealize Operation Management Packs which include the relationship definition between the components that are being monitored and some initial dashboards which will ease dashboard development. The product includes a completely new dashboard which integrates better with that of the other VMware products and are fully customizable. vRealize Operations 6.0 provides three core capabilities – Intelligent Operations, Policy-Based Automation, and Unified Management. Intelligent Operation will help improve performance and avoid disruption with self-learning management tools. Predictive analytics and Smart Alerts – combine multiple symptoms to generate a single alert that focuses on the underlying problem, with clear recommendations and the option to take automated action to remediate, so you can proactively and quickly deal with emerging performance, capacity, and configuration issues, and improve team efficiency. Powerful Visualizations – include many out-of-the-box dashboards, reports and views that you can fully customize to visualize key performance indicators, provide role-based visibility and enable better collaboration across infrastructure, operations and applications teams. Unified UI to Manage vSphere and non-vSphere Domains – gives you an easy to use, single management console with a unified interface for your physical, virtual and cloud infrastructures—from vSphere and Hyper-V, to Amazon Web Services, to physical hardware – with flexible customizable dashboards that can be tailored to each team’s needs. Enhanced Capacity Planning and Project Management – delivers new capacity planning and project management capabilities that extend beyond vSphere and across physical and application-level metrics. It gives you the ability to save “what-if” scenarios and commit the capacity models to the analytics engine to influence capacity calculations and alerts. Policy-Based Automation will help you become more efficient by automating key IT processes with policy-based control. Advanced Policy Management – lets you prioritize operational activities at the Group level. So you can create and apply custom policies for specific workload types, applications or clusters enabling more advanced monitoring of performance, capacity and adherence to configuration standards. Automated Remediation – streamlines the process of problem remediation and enforcing configuration standards — saving time, effort and cost. You can make substantial efficiency gains with useful pre-configured actions that are available out-of-the-box. These actions can be triggered in the context of an alert or at any time, from dashboards or from within the alert details — giving you automation with control. User and Access Control Management – provides role-based access control where you can customize views, reports and dashboards based on personas, and also control what objects, features and actions that persona has access to. Unified Management helps you get comprehensive visibility across applications and infrastructure in one place. Scale-out and Resilient Platform – that is architected to support highly complex environments. This new architecture enables automated fail-over and replication to optimize performance, capacity, and configuration management across your entire IT environment. Unified Storage Visibility – provides the ability to trace operational issues all the way to storage. This is achieved through its unified visibility into the correlation between the application group and the storage infrastructure supporting it, and its topology, statistics, and events – across HBAs, Fabric, and Arrays. 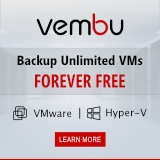 This gives you App-to-VM-to-storage visibility and the ability to correlate issues for faster and better troubleshooting. New Management Packs – deliver unprecedented extensibility enabling you to integrate a whole ecosystem of 3rd party tools and solutions – from networking and storage products, to operating system, application monitoring and enterprise management tools. 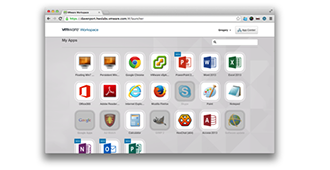 The new and enhanced cloud management solutions are expected to become available in Q4 2014. VMware will update all the components of the VMware vRealize Suite which is available in two editions: Advanced ($6,750 per CPU) and Enterprise ($9,950 per CPU).